Delightful Bedroom Furniture in Melbourne, Australia! Your bedroom is the most personal space that you have in your home, which means that every element of the area should give you the relaxation and comfort you desire. When selecting furniture to go in the room, considering the usefulness and overall quality of the piece is also critical, which is why selecting the right bedroom furniture can be so challenging. When it comes to beds, dressers, headboards and other furniture, your focus should be on the quality, comfort and appeal of the piece, as well as your budget as a whole. Only Gainsville offers the best in each of these categories with their huge collection of luxury bedroom furniture in Australia. We have everything you need in your bedroom in every style you could want. In any bedroom, the bed itself is undoubtedly the focal point of the space, meaning that its design and style are just as important as its functionality. Gainsville’s range of exclusively designed beds can give you the range of choices necessary to find the right bed for your space. Our beds are capable of fitting in with any design or style trend; check out the full range to see for yourself! Our modern beds, designed right here in Melbourne, come in a range of sizes and forms, meaning that there is nothing stopping you from finding the perfect bed. Talk to our staff about our beds today. Despite the wide-spread availability of built-in wardrobes, dressers are still essential in this day and age; not enough of these wardrobes have drawer space, crucial for folded clothes and essentials. Embracing the dresser as a stylish addition to your space is critical, offering functionality and attractive design. Gainsville’s range of dressers is second-to-none with a variety of drawer numbers and designers, featuring innovative design and quality construction. Of course, every beautiful bedroom needs a pair of stunning bedside tables. Either matching or complementing the rest of the room, bedside tables are a fantastic way to offer quality storage and surface area and really complete a room. Capable of holding bedside lamps, alarm clocks or books, bedside tables are an excellent piece of bedroom furniture, and Gainsville’s range is exceptional. Find it all in one place! 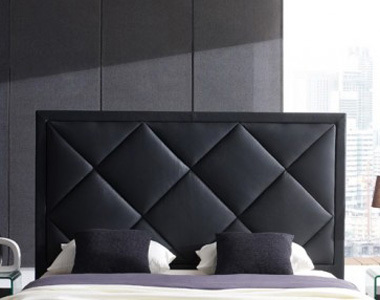 If you are looking for modern bedroom furniture in Melbourne, Gainsville is the right place to come to. With our full range of furniture in our Southbank store, as well as right here online, have a look through our products to find the perfect combination of bedroom furniture for your home. Talk to our team of experts to see how we can help you transform your space today!